Cisco and its apps monitoring arm, AppDynamics, have announced its new strategy to allow users full visibility, deep insights and automated actions with what is calling the Central Nervous System for IT. The companies are comparing it to the human central nervous system, as it is set to provide broader visibility of customer's complex environments, derives AI-based insights and automates IT tasks to free up resources to drive new innovation. The Central Nervous System is being built as an extensible, open platform that works with third-party systems to ingest data, correlate and analyse across domains, and automatically remediate problems and optimise experiences. "Along with Cisco, we’re bringing our customers into the new era of AIOps and empowering them to automate critical activities that can drive better business performance and better customer experiences,” AppDynamics CEO David Wadhwani said. When it talks about providing a broader visibility, Cisco and AppDynamics mean to offer visibility across multiple technology domains including applications, infrastructure, and network. By ingesting data from every domain and using machine learning to correlate and analyse in real-time, system produces insights that "save countless troubleshooting hours and shift attention to improving customer experience and business results". It also works with orchestration and automation systems leveraging these insights to take defined actions to remediate problems and optimise results. "Today we announced that we continue to extend our lead in visibility by extending our monitoring coverage to include Serverless App Models, starting with Lambda," Wadhwani told ARN. "We also announced our all new Cognition Engine, which ingests all the metric and event data captured by our monitoring platform and uses AI/ML to identify root cause of an incident. And we showed how you [customer] can connect the root cause to our policy and actioning framework to automate the remediation of the incident. "And finally, we announced AppDynamics’ integration with Cisco ACI which starts to show the power of driving visibility, insight and actioning across the network, infrastructure, application and user tiers," Wadhwani added. "The Central Nervous System for IT represents the next chapter of AppDynamics. Building out the three pillars of the Central Nervous System - Visibility, Insight and Action - is an audacious goal," he told ARN. "Over the next few years you can expect to see us extending our lead in each of these areas including visibility into new coverage areas, deeper machine learning insights, and automated actioning." The Serverless Agent for AWS Lambda enables enterprises to monitor and manage Lambda functions like any other part of their application estate, including with end-to-end transaction tracing, correlation to relevant customer journeys, and a clear view of impact on customer experience and business metrics. The integration with Cisco Application Centric Infrastructure (ACI) allows application and network teams to have a shared view with correlated visibility from application code to underlying network configuration and policies. The Cognition Engine combines AppDynamics’ business transaction data model with machine learning insights to deliver application performance diagnostics and automated root-cause analysis that reduce resolution times from minutes to seconds. The solution is set to provide enterprises with deeper levels of insight to power new competitive advantages in the digital economy. AppDynamics was acquired by Cisco in March 2017 for US$3.7 billion. In the two years since the acquisition the company has had "tremendous success" and claims to be now the biggest and fastest growing player in application-performance management (APM). 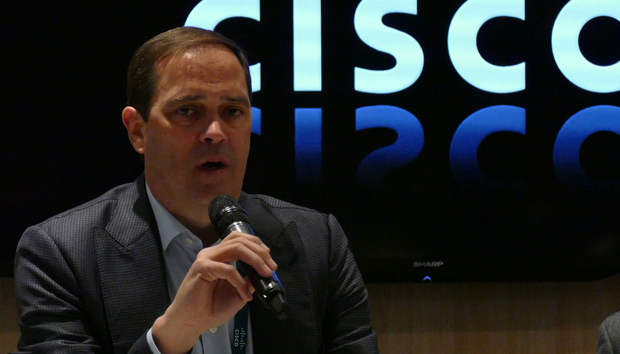 Read more: Could Cisco snap up Splunk or Nutanix? "While we don’t share regional breakouts, I can tell you that our A/NZ [business] is growing rapidly and it is one of our top tier focus countries," Wadhwani told ARN. "The growth of our Australian business is largely driven by the same market forces driving our business around the world. "The application has become the business, and as such, businesses are investing in tools like AppDynamics to make their digital experiences better, easier, and more engaging. 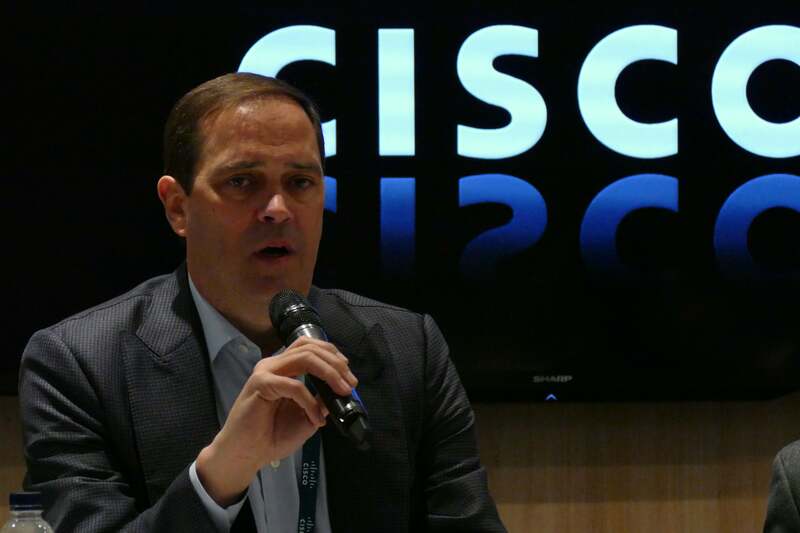 "Together with Cisco, we have a continued commitment to drive further innovation through investments in R&D and acquisitions," he added. "As an example, the Perspica acquisition serves as the foundation of our newly released Cognition Engine and our joint development brought the ACI integration to life."